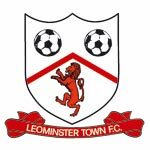 Leominster Town Football Club was officially formed in 1893 as a founding member of the Herefordshire Football Association, although there are press records suggesting that it existed as an entity prior to this. The Club won the first ever HFA Junior Cup beating Worcester Excelsior 5 – 2 at Edgar Street (Hereford United’s ground). The team travelled to Hereford by train and on its return was met by the Town band who led them in procession through the Town. Do you run a club in Leominster? If you run, or are a member of a local club or society and you want it featured here, send an email, all clubs and societies are welcome. We request that you place a link to the Leominster website on your own website before asking us for a link. Thanks. Churches Together in Leominster is an ecumenical organisation that seeks to bring the Christian churches of the area closer together and to organise a number of joint events across the year. For further information please contact the Secretary, Mrs C Wood. 01568-616572 Listed below are the churches of the town -showing the times of their principal services and a contact telephone number for more information. Meetings held on Mondays at 7pm. New members welcome, first three weeks free. A new OO gauge DCC layout is under construction. Our long established and friendly Choir has about 65 regular members. We sing 2 concerts a year of standard and also unusual choral repertoire, and also an immensly popular Carols by Candlelight., under our young and dynamic new conductor. Rehearsals on Tuesday evenings. No audition required. We aim for high standards and to have fun singing. Membership only £80 pa.
Visit our web site by clicking here. There is a newly formed group aiming to preserve the remains of the Leominster Canal. The group will aim to raise awareness and money to conserve the beautiful canal remains that begin just outside Leominster and stretch into the Wyre Forest from which coal was brought up till 1860. Members will receive 4 newsletters a years, get reduced rate entry to events, get membership discounts and be able to attend special site visits.